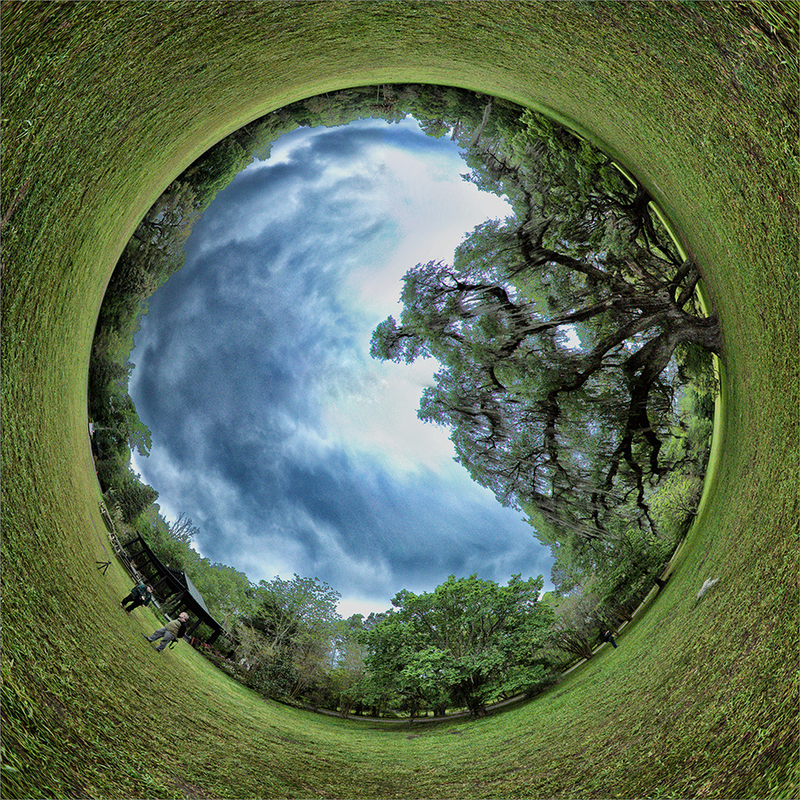 This little planet from Magnolia Plantation is a worm’s eye view of the meadow in front of the main house. We were waiting out the rain in the shelter to the right of the big oak tree by Paul Speaker. 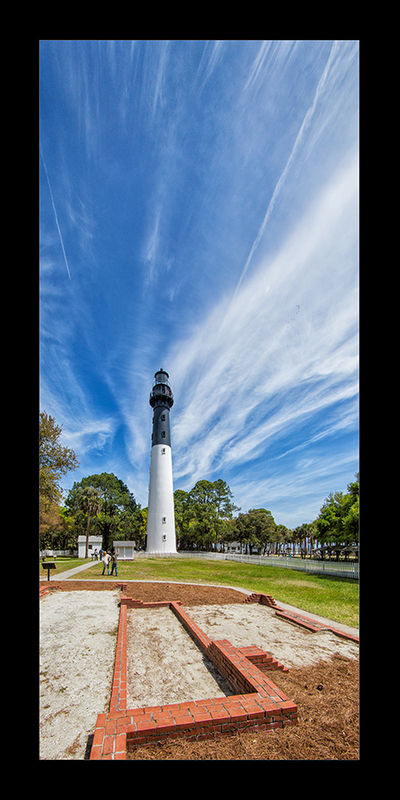 The Hunting Point Lighthouse is a few miles south of the entrance to Charleston Harbor, and has been moved once already (many years ago) due to shifting shorelines. The surf is encroaching again, and unless the beach is stabilized, they’ll have to remove this tower, as well. It’s made to be disassembled in sections, so it shouldn’t be too hard, if required. Single exposure, 15mm by Paul Speaker.